Chicago, IL – According to a National Safety Council poll released today, one in four Americans personally knows someone who has overdosed or died from an opioid overdose, knows someone who has become addicted to opioids, or has become addicted themselves. In response to the survey results – and a recommendation from the President’s Commission for Combating Drug Addiction and the Opioid Crisis – the National Safety Council is launching a provocative nationwide public education campaign that literally puts a face on the opioid epidemic. Stericycle is the Council’s exclusive waste disposal partner on the campaign. Stop Everyday Killers begins with the unveiling of Prescribed to Death: A Memorial to the Victims of the Opioid Crisis in Chicago. The exhibit includes a memorial wall made of pills – carved with faces that represent the 22,000 people lost last year to prescription opioid overdose. To reduce the number of opioids in circulation, NSC has created “Opioids: Warn Me” labels for insurance and pharmacy cards. These labels are intended to prompt a critical conversation between patients and prescribers about the risks of taking opioids and possible alternatives. The survey found one in three Americans prescribed an opioid in the last three years did not realize they were taking an opioid. As part of the campaign, Stericycle is providing pre-paid Seal&Send envelopes for returning unused medications. The opioid crisis is the worst drug epidemic in recorded U.S. history. Yet despite the depth of the crisis, 40 percent of Americans are not concerned about prescription pain medication as a health and safety threat to their family – perhaps because they do not know what they are being prescribed. Just 20 percent are very confident they can spot the signs of an overdose. 56 percent say they can spot the signs of misuse or abuse; however, only 28 percent are very confident they would know where to go if someone close to them needed treatment. 63% of Americans believe opioids are very addictive, but only 43% consider fentanyl to be very addictive – even though it is significantly stronger than morphine and heroin and can cause a fatal overdose simply by inhaling it. Only 16 percent of those who start taking an opioid say they are concerned about addiction. 31 percent of Americans keep their prescription drugs for future use – a risky practice given many people with opioid misuse disorders get the drugs from friends or family who may not be disposing of them properly. 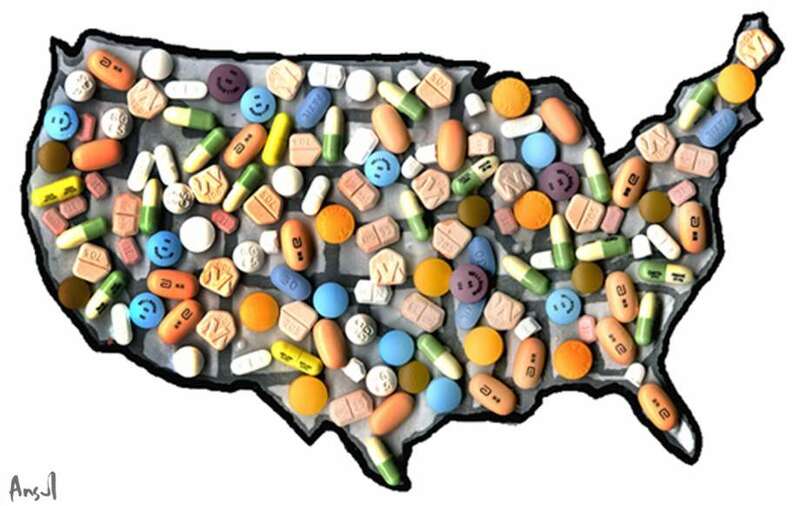 Prescribed to Death will travel across the country over the next few months. The Chicago location – 1714 N. Damen in the Wicker Park neighborhood – is free and open to the public every day from noon to 8 p.m. CT through November 16. Visit stopeverydaykillers.org for information about the campaign. The “Opioids: Warn Me” labels and the Seal&Send envelopes are available at nsc.org/stop-everyday-killers-products. For more about the Council’s prescription opioid initiative, please visit nsc.org/rxpainkillers. Stericycle, Inc., a U.S.-based business-to-business services company now operating in 22 countries, is focused on solutions that protect people and brands, promote health and safeguard the environment. For more information about Stericycle, please visit www.stericycle.com.